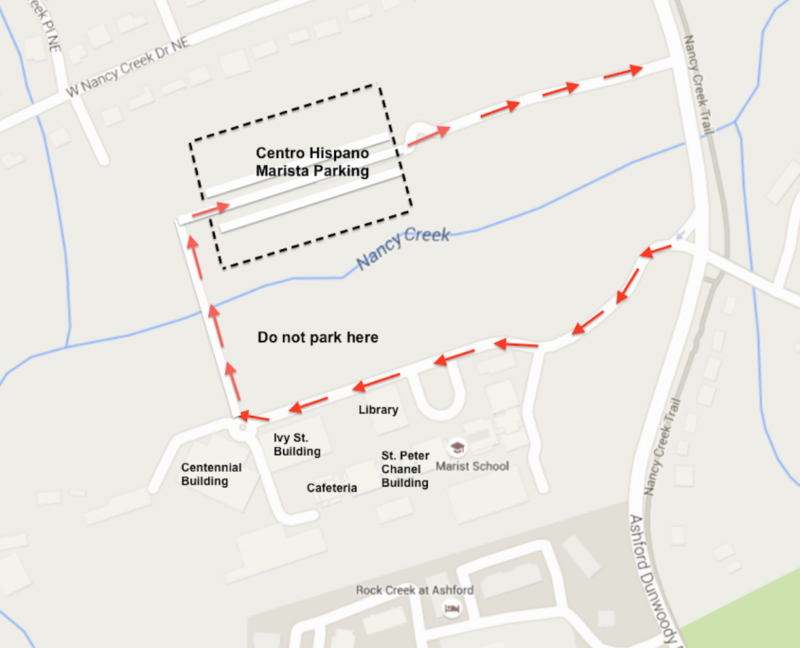 Centro Hispano Marista students and visitors should park in the parking lot across the creek, except for Handicap vehicles with permit. Marist School volunteers provide free transportation for those in need from Chamblee MARTA Station to Marist School. The bus leaves the station at 6:30 returns after classes at 9:10pm. The bus is a small, white bus and it is marked as “Reach for Excellence.” It will be parked in the South-East side of the station and at the circle in Marist School. You must contact us before hand for availability. *Marist School is a drug-free, alcohol-free, and weapons-free campus.